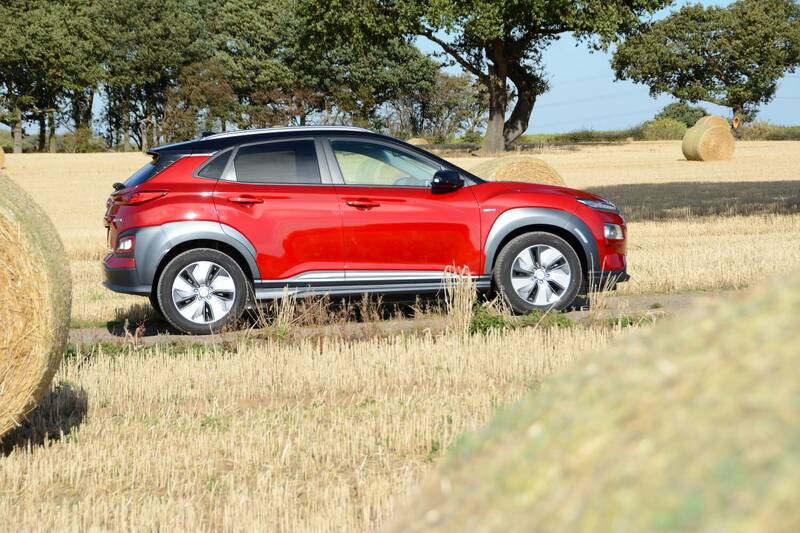 The Hyundai KONA Electric is a game changer: it offers a 279 mile electric range for £30,000 – and it’s excellent to drive. 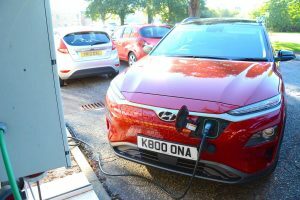 We’ve had first generation electric vehicles such as the Nissan LEAF and Renault ZOE which just about managed a 100 mile range in real life, and now we have the second generation versions of these vehicles, which can achieve 200 miles in the real world. 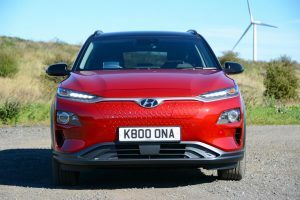 However Hyundai has now brought the KONA Electric to market – the first fully-electric subcompact SUV in Europe – with an official 279 mile range, at a relatively affordable price; so should this convince you to make the switch to electric? 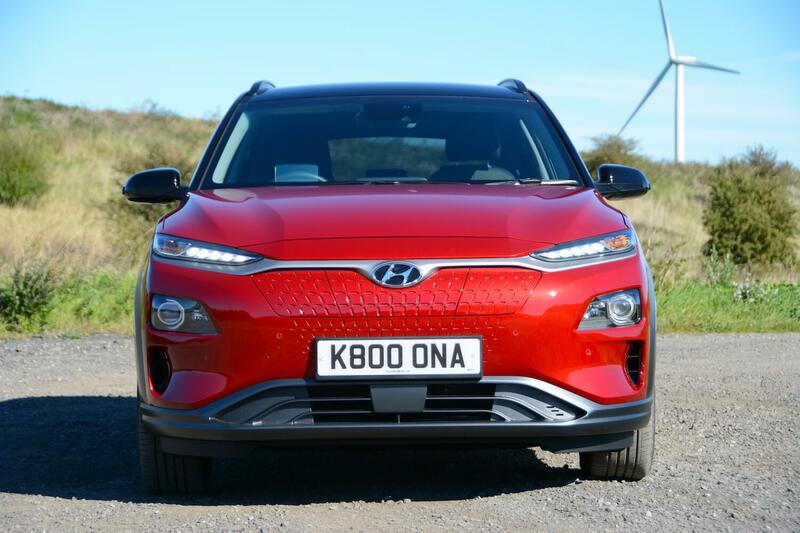 The KONA shares the same overall design with the petrol models, apart from details such as the lack of a front grille on the electric version. 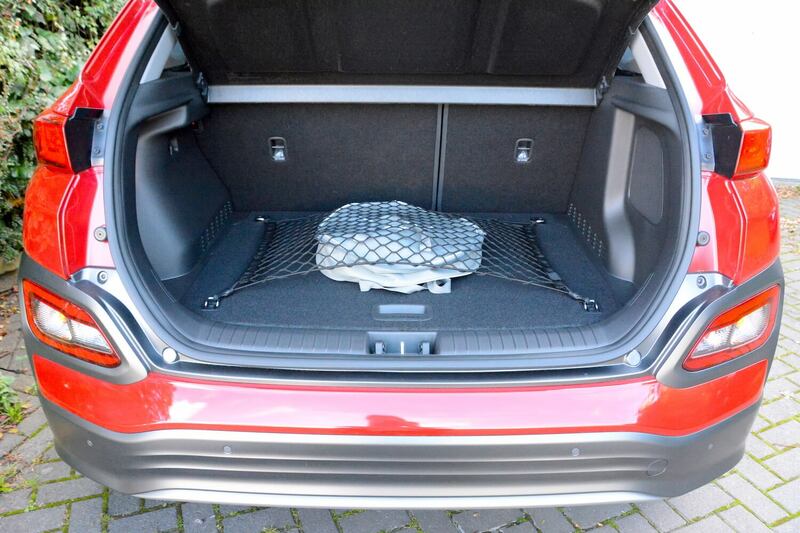 It’s the same story inside, with a well-equipped, functional interior with lots of storage space. 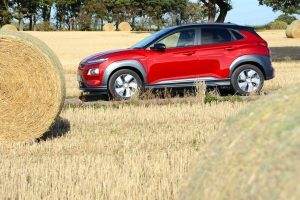 The ‘subcompact SUV’ looks good, with its 17-inch alloy wheels, and it has a practical body style, although the boot isn’t particularly large. It’s underneath the body where the difference lies; the KONA Electric has a 204ps (150kW) electric motor and a 64kWh lithium-ion battery, with a single speed transmission. 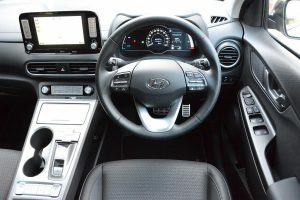 The good news starts with the driving position: the KONA has a good range of seat adjustment, and as well as steering wheel height adjustment, it also has reach adjustment – unlike the Nissan LEAF, which has zero reach adjustment. 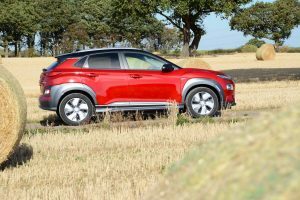 You’re left with a driving position in the KONA that is slightly on the high side, but that seems to be what people want from SUVs – even ‘subcompact SUVs’. There’s no traditional gear selector, just buttons for reverse, park, neutral and drive. There are also three drive modes: Eco, Comfort and Sport. These are useful for efficient driving (Eco), general driving (Comfort) and for when you want a bit more fun (Sport). You can also change the amount of brake regeneration using steering-wheel mounted paddles, with four levels, which is a very useful feature. Once you’re underway you’ll enjoy the normal instant torque responses of the electric drivetrain, giving a feeling of very rapid acceleration, in fact it feels faster than the official 0-62 mph time of 7.6 seconds. You’ll also appreciate the near-silence of the powertrain, although some road noise at higher speeds does spoil the otherwise highly refined driving experience. 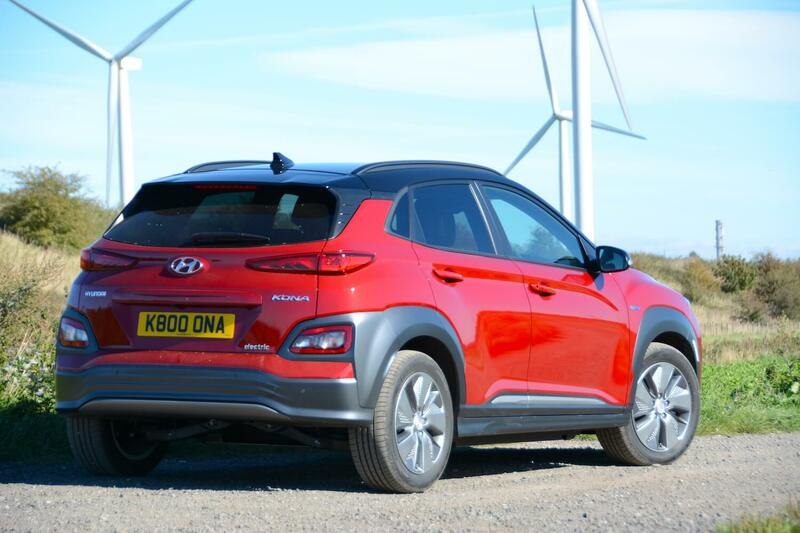 The KONA Electric also has a very comfortable ride, and it shares the fun driving dynamics of the petrol Kona, even though the electric version is heavier (1685 kg versus the 1233 kg of the 1.0 T-GDI model). With 395Nm of instant electric torque being transferred through the front wheels, there’s the possibility for wheelspin and torque steer, but if you drive accordingly, this shouldn’t be a huge problem. The KONA is well-equipped, the dashboard is functional, and the infomedia system is good, and you’re able to zoom in and out of the map to spot traffic delays ahead. There’s a reversing camera, and our Premium SE spec car also came with a head-up display. Our presence is to switch off the lane departure warning system when you start the car to prevent it annoying you. 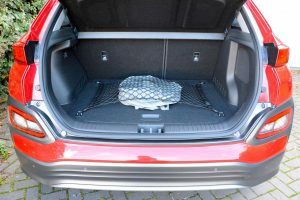 And the KONA is very difficult to insert Isofix child car seats in the rear seats. 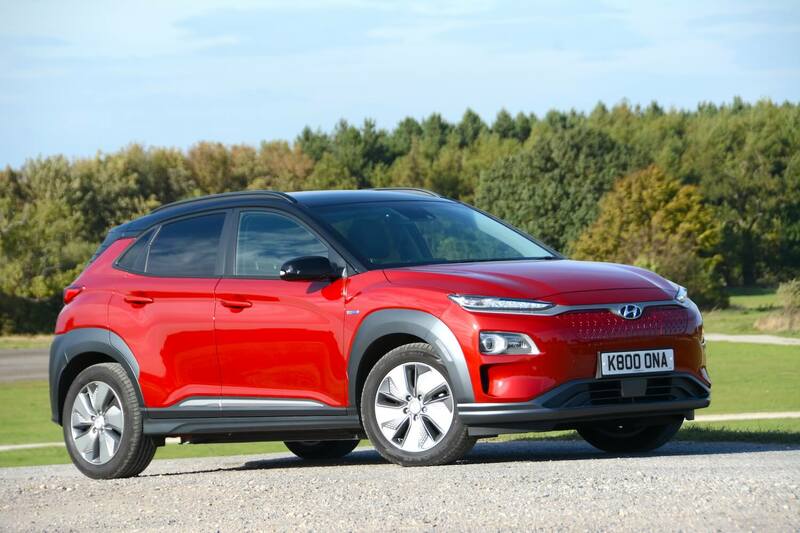 Like any pure EV, the Hyundai KONA Electric has zero tailpipe CO2 emissions. However where it differs from most EV rivals at the sub-£60,000 price point is with its official 279 mile driving range – and this is based on the new, more realistic WLTP test (note that this range figure has been corrected from an initial calculation of 300 miles). So how did it do in the real-world? Well, we set off from Manchester with a fully charged battery and a range of 247 miles displaying, to drive to Wetherby, a distance of 78 miles. We arrived at Wetherby with an indicated 176 miles left. We then drove to Nottingham, a distance of 87 miles. 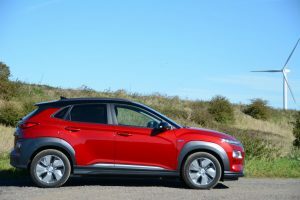 In Nottingham, after a total of 165 miles, the KONA displayed a remaining range of 89 miles, which would have given a total range of 254 miles. Which was amazingly close to the 247 mile range displayed at the start of the journey. And virtually all driving had been at 70mph. This is an excellent result, and if the KONA had been driven at lower speeds, we’re sure it could have achieved the promised 279 mile range. So at Nottingham we had an indicated 89 miles range left, and how far was it back to Manchester? : 89 miles. So we could have driven the KONA from Manchester to Wetherby to Nottingham and back to Manchester on one charge. 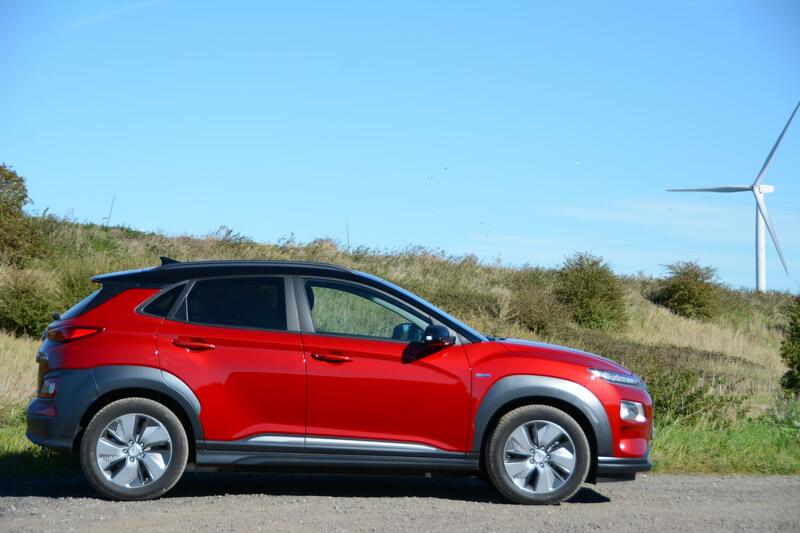 However, because there happened to be a rapid charge point where we were parked in Nottingham, we decided to take the opportunity to give the KONA a full charge and enjoy the Sports mode on the way home – when it proved to be huge fun. The KONA Electric has a CCS Combo port for 50kW public rapid charging, allowing it to charge up to 80% in 75 minutes. Charging at home with Hyundai’s recommended POD Point 7kW home charger with the 7 pin Type 2 connector would take 9 hours 35 minutes for a 100% charge. If a cable with a 3 pin plug was used with a standard domestic electricity supply it would take 31 hours to charge to 95%. 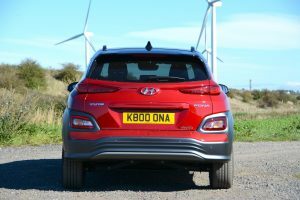 Our Hyundai KONA Electric Premium SE 64kWh test car cost £32,390 (after the government’s £4,500 Plug-in Car Grant). 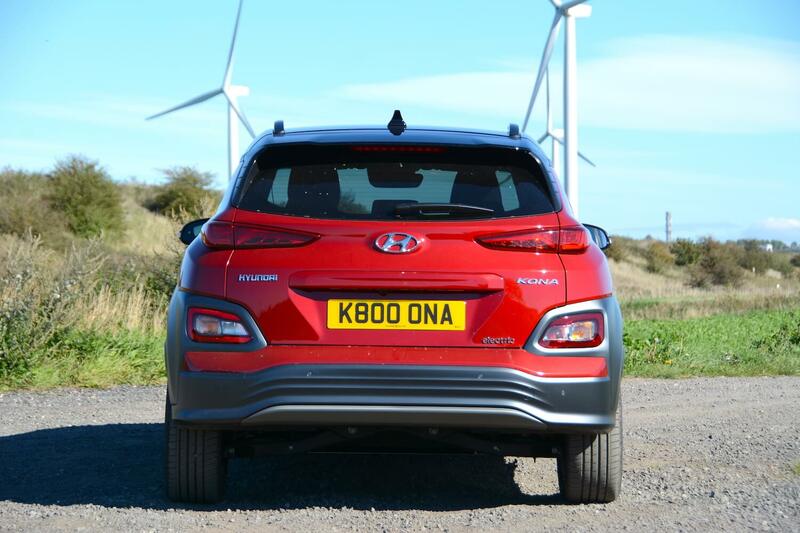 The KONA Electric is available with two battery sizes, with 180 or 279 mile ranges, and three trim levels. SE spec is available with a 100kW electric motor (136ps) and a 39kWh lithium-ion battery, and costs £24,995. Premium spec is available with a 100kW electric motor (136ps) and a 39kWh lithium-ion battery, and costs £26,370, or with a 150kW electric motor (204ps) & 64kWh lithium-Ion battery it costs £29,495. Premium SE spec, as tested, is available just with the 150kW Electric Motor (204ps) & 64kWh Lithium-Ion Battery, for £31,795 (all prices after the £4,500 UK government plug-in car grant). Options are metallic/pearl paint (£565) and two-tone roof (£420). 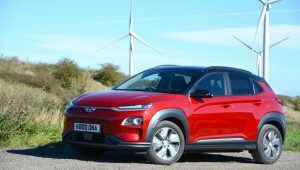 The Hyundai KONA Electric is the first car to address all the normal objections to electric cars for the average motorist. It has a 279 mile electric range, zero tailpipe emissions, it’s excellent to drive, it’s well equipped, it has a practical body style, and it’s relatively affordable. 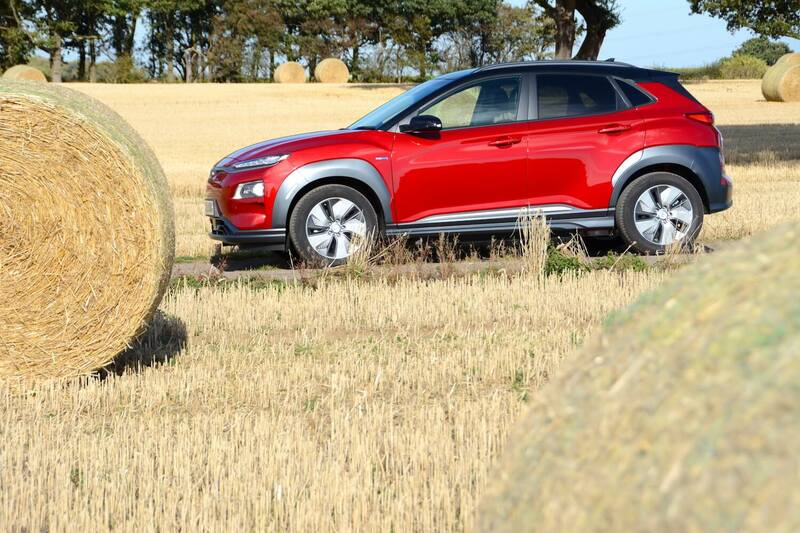 Therefore the Hyundai KONA Electric, by making range anxiety a thing of the past, is a game changer, and we have no hesitation in awarding it a Green Car Guide rating of 10 out of 10. 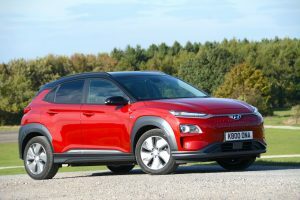 If you’re looking for a new car in the small SUV/hatchback class, then don’t buy one until you’ve test driven the KONA Electric.